Now is a fantastic time to purchase a Lincoln Certified Pre-owned vehicle in Newport News. With an inventory that changes daily, there is an excellent chance you will find the top-quality vehicle you've been dreaming of, through our extremely popular program. Lincoln Certified Pre-Owned vehicles undergo a 200-point inspection to ensure buyers they're receiving a vehicle that can be driven with absolute confidence in the quality. 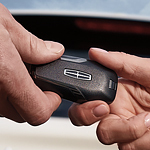 In fact, each Lincoln Certified Pre-Owned vehicle comes with a six-year limited warranty from the date of the original new vehicle limited warranty or up to 100,000 miles, whichever comes first. The coverage extends to all parts and labor during that time, and the Lincoln limited warranty covers more than 1,000 components. The cost-savings goes a long way! You can find out more about the Lincoln Certified Pre-Owned program by visiting Hall Lincoln! We'll be happy to provide you with a test drive of any vehicles in our inventory to start the selection process!